Can't choose between wireless or traditional headphones? We review your options. If you’re a music lover, your headphones play a major role in making your run good versus great. There’s nothing more frustrating than being at mile 3 only to have to stop and fix a mess of wires or re-insert a bud that fell out. Your focus shifts from your stride to why the heck these aren’t working. We examined a few of the hottest ones on the market—both wired and wireless—to compare them all and see which ones are worth the extra buck (no strings attached?). You just need to remember to charge them! A customizable earphone that’s meant to fit only your ear. What sets these apart from the other headphones on the market is that you literally create the ear buds to fit your ear. 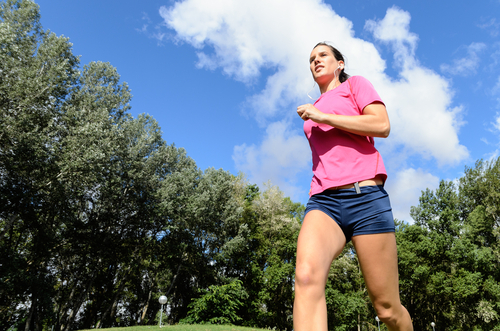 Simply place the mold in hot water, shape them, put them in your ear and head out for your run. While the quality is good and you don’t have to deal with wires, getting the molds ready takes some time. It’s a bit of a process and the package doesn’t offer backup molds in case you lose one or mess up the original custom mold. If you’re looking for something ready to wear, then pass on these. But if you’re looking for a true, stay-in-your-ear fit, then you ought to give these a try. Whether you run for miles or do two minutes of burpees, these headphones stay put! The sound quality is good and doesn’t block out surrounding sounds, but the fact that you don’t need to fuss with the ear buds is a major plus. It took five minutes to set up. Simply sync the headset to your phone, adjust ear buds if you need to and head out for your workout. It is more expensive, so if you’re willing to shell out the money, you won’t be disappointed. If you’re looking for an affordable and reliable wireless Bluetooth headset, then this could be your perfect match. The sound quality is great and blocks out surrounding noises to an extent. You’ll still be in the know of what’s around you even when you’re rocking out to your favorite tunes. It’s easy to sync up to your phone and use the volume controls. The only downfall to these headphones is that the ear buds tend to slip out during cross-training activities. But the wrap-around keeps the ear bud from completely falling out. Again, it’s more affordable than most Bluetooth wireless headsets and it comes with a year warranty. Break free of wires with the Jabra Sport Pace. Sweat-proof, these headphones won’t disappoint. Easy to set up and offers excellent sound quality. However, the earpiece is not too snug. It will stay put because of the wrap-around design, but the in-ear portion pops out every now and then. And, the battery life on these doesn’t last too long. After a couple workouts, you’ll need to go home and charge these headphones. For those looking for an over-the-ear headset, the JBL Everest 700 Elite won’t disappoint. Extremely light and wire-free, the noise-cancelling headphone allows you to select how much outside noise you want to let in through the JBL Audio App. With the JBL Pro Audio, you’ll get dynamic, brilliant audio that will help you power through the toughest mile. The sculpted ear cushions provide extreme comfort, won’t bother your ears even if you where these for more than three hours. The battery lasts for about 15 hours after a single charge. Bonus: These come in white and rose gold. It you like traditional ‘phones, these earpieces offer top-notch sound quality to help you push through the toughest workout. With a slight redesign from previous models, the Intensity will not disappoint. First off, the sound quality is clear, giving you the adrenaline you need to pick up your pace. The SportClip design keeps the wires in place during vigorous activity, and allows in some noise so you’re safe when running on the road. It’s sweat-proof and easy to control music, plus the in-ear ear buds actually stay put—whether you’re running a marathon or doing box jumps. Whether you’re on a run, at the computer or out doing errands, Tour2 offers excellent sound and comfort throughout your day. The in-ear headset is sweat and water-resistant with a variety of fit and color options. Take hands-free calls and control music with RemoteTalk cable, which is easy to control. It’s a bit on the pricey side, but if you’re will to spend the money, you won’t be disappointed. Headphones that are finally made for women! The sweat-proof, in-the-ear sport earphones offer top-notch quality sound allowing ambient sound in to keep you safe when on the road running. The ear buds actually stay put too! This small, simple headphone offers big perks—it’s under $20! 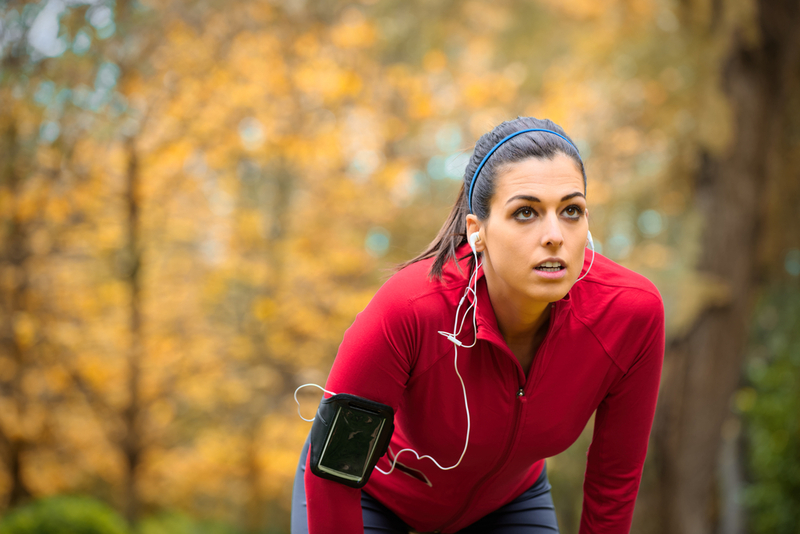 Can You Tell A Running Buddy To Ditch Her Headphones?